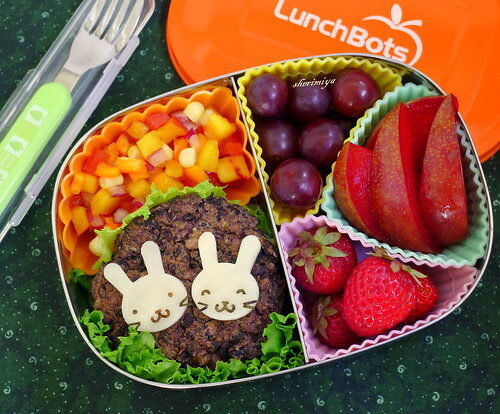 Twin Bunnies Bean Burger Bento, a photo by sherimiya ♥ on Flickr. Oh my... I've never had peach salsa. This has to be remedied immediately! This bento looks fabulous! Thanks Heather; you should try it. It's good! That's exactly what made me want to try it, Jenn. Thanks!